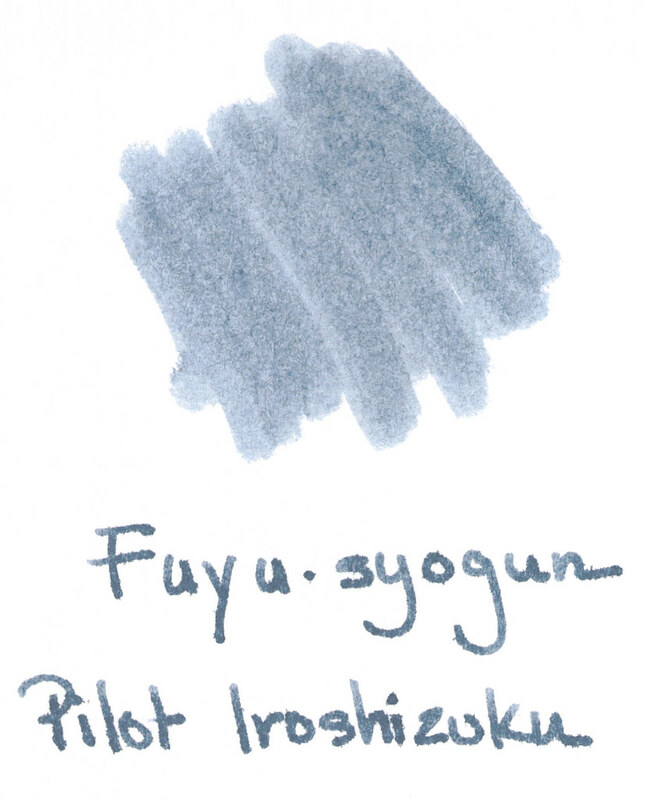 Another sweet shade of gray from Pilot Iroshizuku – Fuyu-syogun does not disappoint! I’m usually a purist when it comes to colors – I don’t dig muted shades, for example, give me a real, full color! But this gray (grey?) with a touch of blue is jussssst right. I’ll spare you suspense. I’m totally ordering a bottle of this. It’s available most everywhere for $28 per bottle. Kind of expensive, right? But it’s such a joy to write with. Some of this must be the pen – I’m a sucker for a broad nib – and you know that I love me some Lamy Safari – but still. I’m swooning over here. Not too wet. Didn’t seem too dry either. Really. Look at this shading? 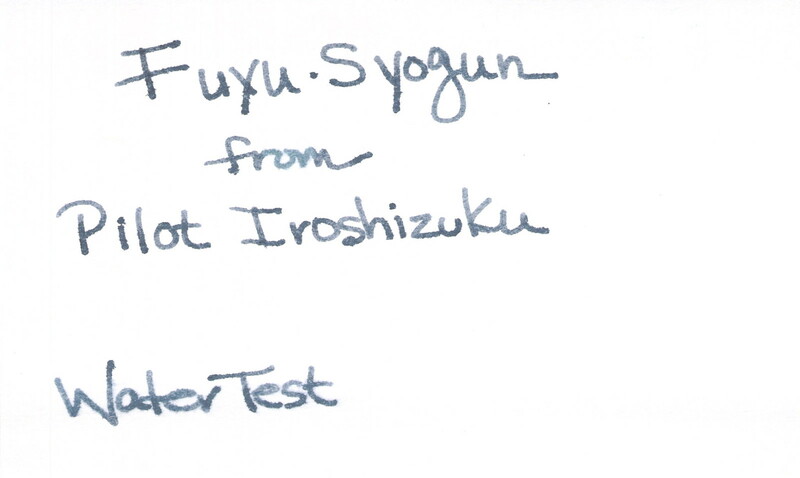 And there’s not much feathering – even on this mid-quality paper. And .. my (limited) understanding is that this ink is also known as Old Man Winter. How cool is that? There aren’t a lot of people talking about this one. Have you tried it? 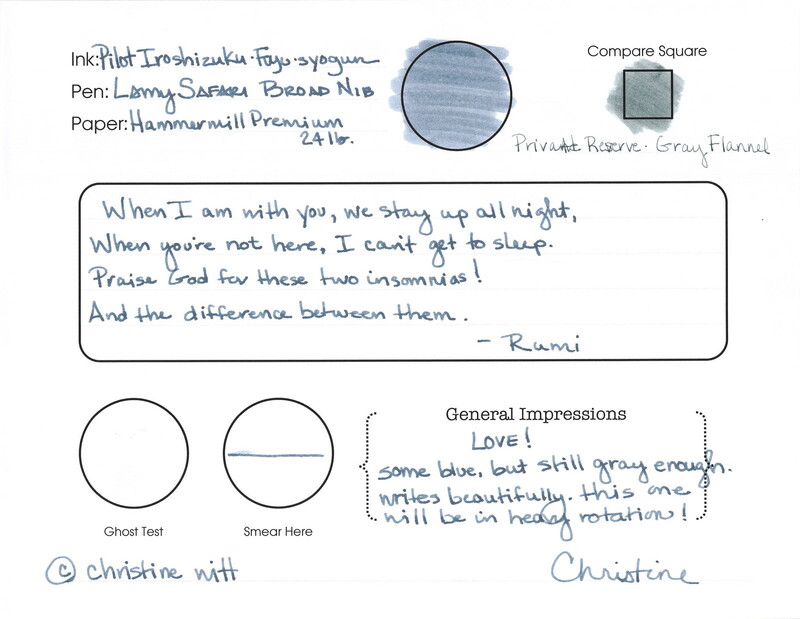 This entry was posted in INKS, LOVE and tagged pilot iroshizuku by Christine (Pentulant). Bookmark the permalink.